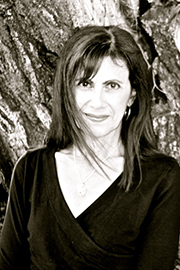 Barbara DeMarco-Barrett’s published works include Pen on Fire: A Busy Woman’s Guide to Igniting the Writer Within (2004), a Los Angeles Times bestseller and winner of the 2005 American Society of Journalists and Authors book award. Her short story, “Crazy for You,” published in Orange County Noir (2010), was chosen for USA Noir: Best of the Akashic Noir Series (2013). Her short fiction has been published in the Oyez Review, The Big Click, and Radius. Essays and articles have seen print in The Writer, Los Angeles Review of Books, Poets & Writers, Writer’s Digest, Orange Coast Magazine, and the Los Angeles Times. DeMarco-Barrett teaches online at Gotham Writer’s Workshop and has taught at UC Irvine. She hosts Writers on Writing, a public radio show on KUCI-FM (broadcasting out of UC-Irvine) and founded the Pen on Fire Speaker Series in Corona del Mar.